A change in the FAA’s rules affects my flight training. Since last week 20 hours of simulator time, instead of ten, count towards the instrument rating. As soon as I heard about it I contacted my flight school. They checked my links and were convinced. The students can now save a bit more money: In my case it is $55/h in the Redbird opposed to $121 in a Cessna 172P. Unbelievable how close the FAA is to the ones who live by their rules, while EASA seem much further away from reality, making rules which not even a flight school could understand. I simply changed my next five reservations to the Redbird FMX. The last 9.9 hours covered everything that I have to learn. From now on it is just repetition and gaining knowledge. Joshua asked me where I would like to fly and we programmed the simulator to start from San Diego. We were both shocked by the rocket-like take-off, as we are used to density altitudes around 10’000 feet in Denver. Localizer Runway 28R, Montgomery Field. 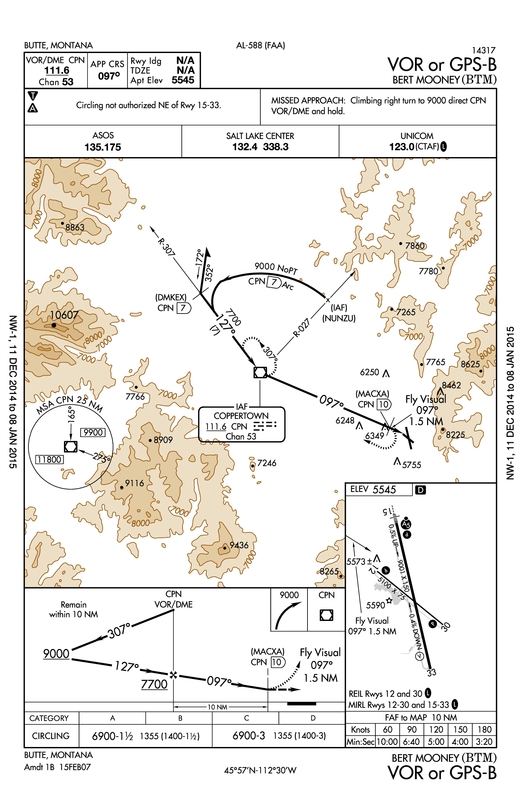 Usually localizer and ILS approaches are simple to fly. Once your cockpit is set up, it is all about flying precisely. This approach into Montgomery on the other hand is a bit more demanding. Without radar vectors the procedure starts at the initial approach fix BAKEL intersection, which can be identified by either DME or two VOR radials. I had to figure out in which order I use which stations, because the DME step-down fixes (MIBBY, NESTY, etc.) are identified using the localizer frequency and not the VOR’s. For the missed approach it is again a different VOR. The approach went well and after the missed approach we continued northbound to Oceanside. VOR-A into Oceanside Municipal airport. 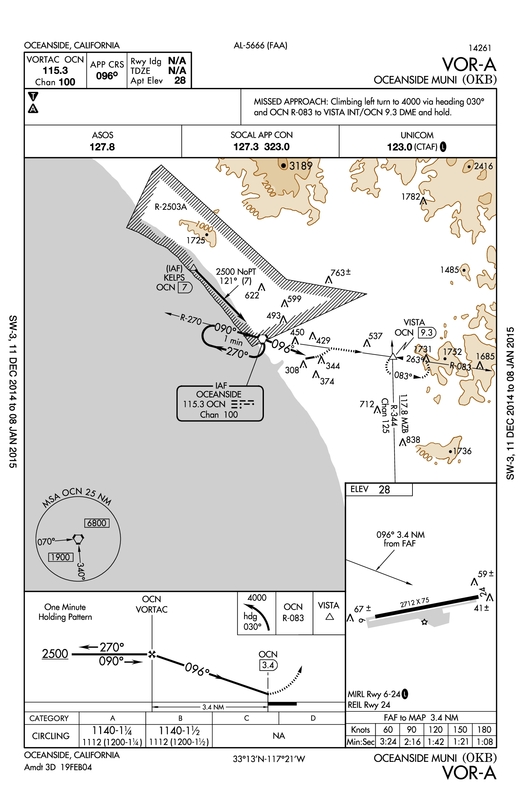 This VOR approach is nothing difficult and yet – as my ground school instructor taught us – there is always at least one gotcha on an instrument approach plate. 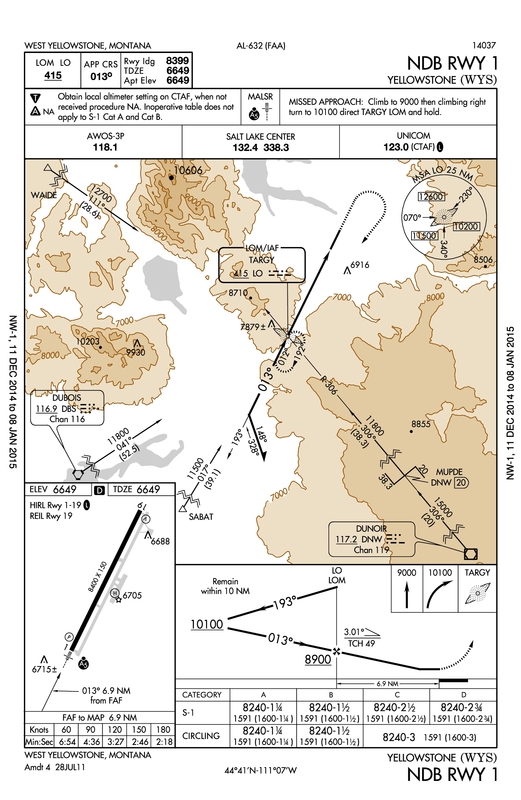 After flying the procedure turn, in my case a parallel entry after approaching the VOR from the South, the heading changes from 90° to 96° and I believe I didn’t do this turn because I didn’t find the airport when I got out of the clouds. 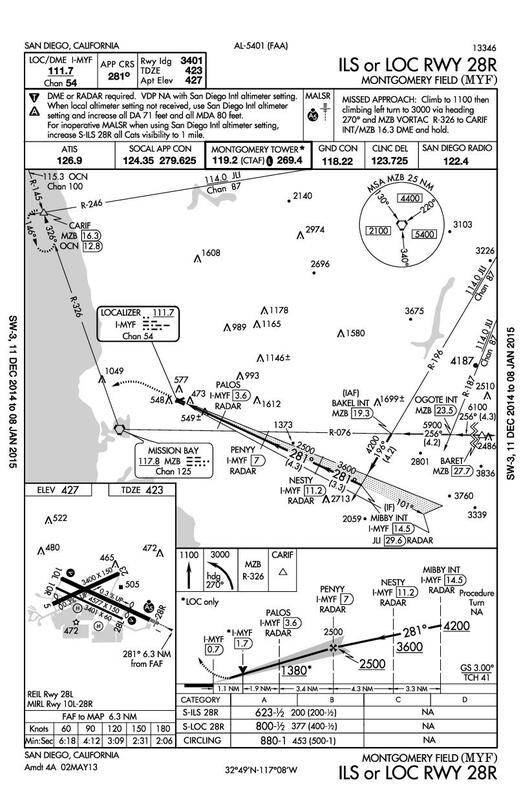 Although, looking at the airport diagram, the 096° radial takes you to the last third of the runway and I might have just overflown it without being able to see it. You can’t easily look out of the window in a simulator. After a quick break at noon I asked Joshua if we could fly an approach in the mountains of Montana. VOR-B approach into Bert Mooney airport. As always I opted for the most difficult way to fly the approach, in this case the DME arc. I felt confident since I practiced arcs a lot in my flight simulator at home. But again the approach didn’t go as smooth as I would have liked. First I didn’t anticipate the 90 degree turn to right when I approached the arc on radial 027. I should have started a standard turn at 7.5 DME and I would have been exactly on the arc. After I completed my turn onto the arc I was at 6.6 DME so I had to get back outward onto the arc. Another thing that got me here was the distance to the station. I always practiced with arcs at about 15 or even 20 DME. This arc at Bert Mooney has a radius of only 7 miles, thus the progress through the radials was much faster. The “turn ten, twist ten” rule worked fine, but it had to be repeated every seven seconds or so compared to double that time on a bigger arc. This made a huge difference in workload. I didn’t have a lot time to think ahead of the airplane, as I usually had on the large arcs. Shortly before reaching the missed approach point I popped out of the clouds and saw the reason for the high minimums on this approach: The airport was right behind a hill and surrounded by mountains. This taught me that it is vital to remember the first few instructions of any missed approach procedure. NDB runway 1 approach into Yellowstone. Now we set up the Redbird FMX simulator to start in the air near Yellowstone. After about 0.2 seconds we crashed into a tree and I was definately awake now, adrenaline pumped and ready for an NDB approach. We loaded the scenario again and this time it worked. I flew the approach without major issues, I corrected nicely for the wind and knew more or less how to correct if I wasn’t on the right bearing. Even though I believed I flew precisely I ended up a half mile to the left of the runway. In the High Plains that wouldn’t be a big problem, but look at these mountains on the chart. I applied power and followed the published missed approach procedure. I really wished this simulated Cessna was turbocharged, when I was headed towards the mountains and had to wait for 9000 feet before making the right turn back to the NDB where I stayed in the hold for a few racetrack patterns. 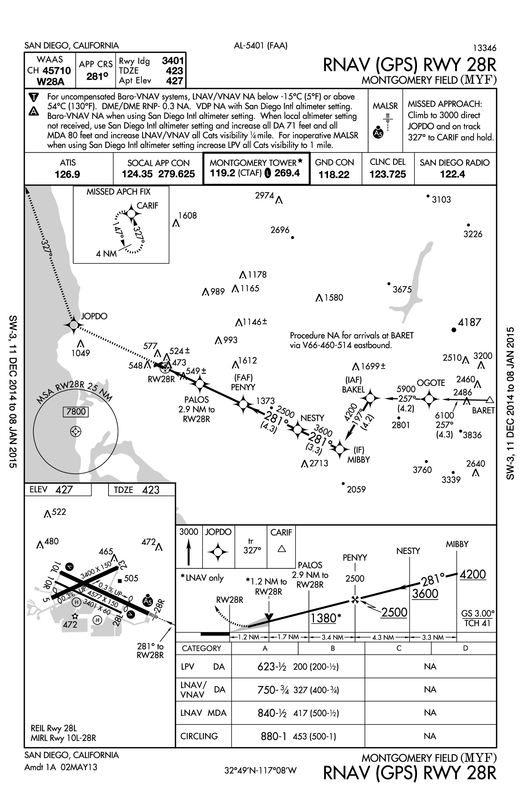 RNAV (GPS) runway 28 right into Montgomery Field.